Minnesota Contractors, It's Not Too Late To Get Your CE Done! According to the Minnesota Department of Labor and Industry (DLI), contractors have until 11:59 pm April 6th, 2016 to renew their BC license. Contractors will be charged an $80.00 late fee for any renewal payments processed after April 6th, 2016. This is also a deadline for most contractors to complete their continued education for the licensing cycle. For a Residential Builder (QB), Remodelers (QC), or Roofer (QR) license, contractors must complete 14-hours of approved continued education for each 2 year licensing cycle. The same CE course may not be taken twice in a licensing cycle. Two continued education courses may not be completed on the same date. 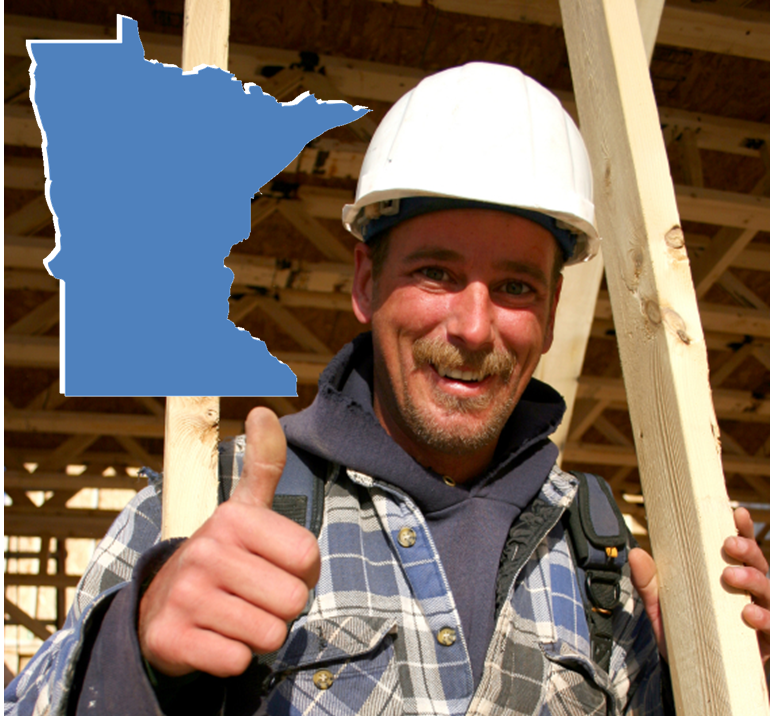 Half of the builders and remodelers in Minnesota renew each year by March 31st. There is no longer a lead paint requirement with the continued education. The requirement changed to Energy Code several years ago. NOTE: The State of Minnesota will not allow you to take the same course twice within a 2 year cycle or complete 2 courses on the same date. Where Can I Find Minnesota Online CE Courses? The following are just a few of the 7-HR courses that contractors can use to create the 14 hours of continued education needed for license renewal. Click here for a full list. Estimating and Bidding for Success 7-HR Fully Narrated course: This course is an introduction to the construction estimating process. The course will explain the methods of construction delivery, different types of estimates, and the tools needed by the estimator to tender a bid. Minnesota Construction Safety 7-HR Fully Narrated course: This course is a review of the safety codes required for residential construction. Students will be able to understand and describe the basic components of a construction safety program. They will recognize the hazards inherent at a construction jobsite, and describe ways to prevent those hazards. Weatherization and Renewable Energy 7-HR Online Video: The Renewable Energy course will show contractors various energy efficient products currently on the market. In Weatherization contractors will learn how moisture enters into the internal structural areas of a home and which procedures are used to avoid problems. The Builders License Training Institute will submit your course completion to the DLI within 24 to 48 hours.